The Planning Inspectorate has overturned a condition imposed by West Lindsey District Council (WLDC) on a 63-home development off Hackthorn Road in Welton. Turley Farms Limited appealed against WLDC’s decision to impose a one-year time limit on a full ‘reserved matters’ application being submitted to the council. Turley Farms is in the process of selling its land, east of Hackthorn Road, to a developer - and fears the sale will not be completed in sufficient time. A planning inspector has now imposed a new two-year limit, which gives a developer until October 22, 2016 to submit its plans. The housing development was approved subject to several conditions, including provision of nine ‘affordable’ homes, a £223,761 contribution towards education facilities in the locality, and £26,755 towards local health facilities. A further £100,000 would also be contributed towards local road improvements, which would see junction improvements on the A15 and A46 highways. 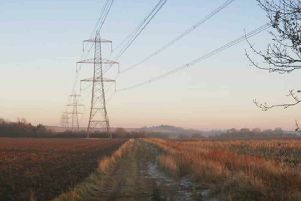 In an appeal decision statement, the planning inspector said: “All in all, I consider the time limit imposed in the appealed condition for the submission of reserved matters for the first phase of development to be unduly onerous, with the potential that it might actually stifle development of the site, rather than encourage it. “As such, it is not reasonable.